Everything you need to stack and connect Three 55 gallon water storage barrels. Racks are welded and painted here in the USA. Wide base for stability in every emergency situation. Assembles in minutes with aluminum bung wrench (included) and a flat head screwdriver. Water rotation has NEVER been so easy! 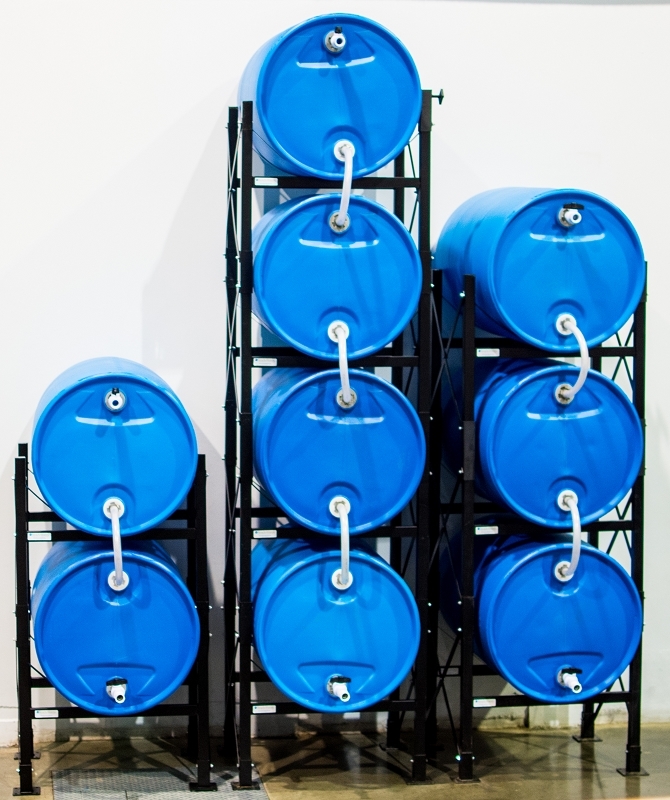 This purchase includes a plumbing kit and the black metal racks to vertically stack 3, 55 gallon barrels (barrels are NOT included). As always, ALL Titan's manufactured products are made by Americans for Americans... Because it matters!